Kids love to craft and what better than to make something that they can play with after. Theon is Pirate mad at the moment. So, we dug in to our recycle basket to find items we could fashion into a pirates outfit. The idea being to re-create by recycling. 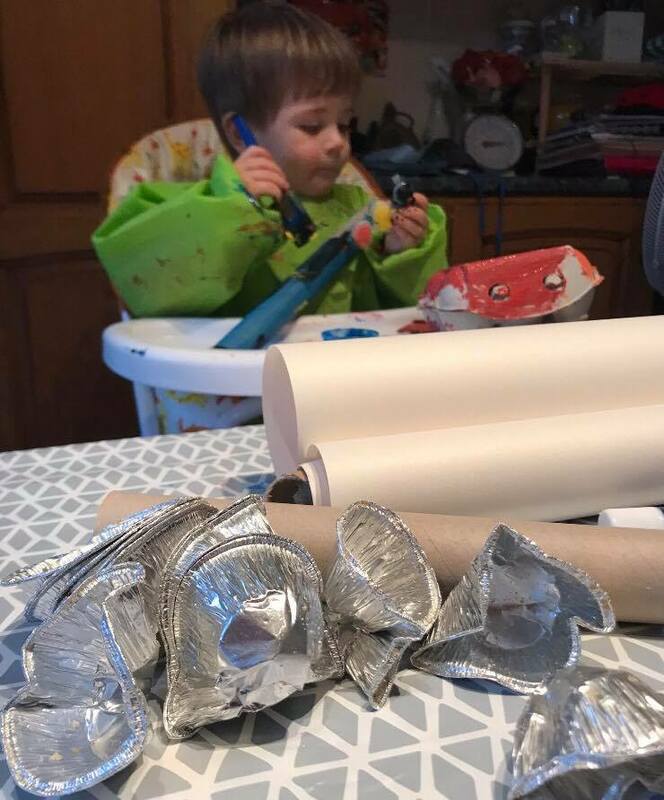 And in doing so giving longevity to todays messy/crafts play by crafting something that will become tomorrows dress up fun! The key to this activity is to not be a perfectionist! Use your imagination to lead the play. To help ignite your ideas try looking on Pinterest for some inspiration. A lot of the items we crafted came from a Cbeebies favourite of Theon’s. Most of the items we made are pretty self explanatory however, for the jewels we simply took scraps of coloured paper, placed them inside the foil cupcake holders (like you get on mince pies) and just scrunched them closed. We then placed each jewel inside our decorated egg box. We didn’t use any stencils or guides to draw, we just let our imaginations run wild and drew, cut, stuck and painted free hand as we thought it. Our finished product wasn’t polished or perfect, but it was authentic. And we had fun making it all. 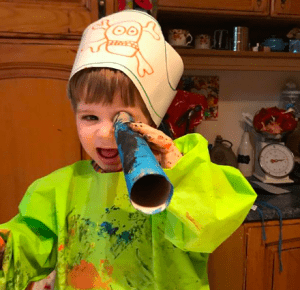 So, go forth me hearties, crank up your craftability or walk the plank.